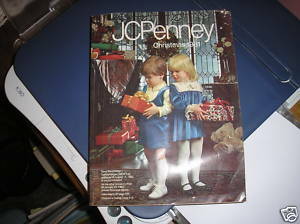 Oh JC Penney Big Books, we never got everything we longed for, but you and your Wish Book partners, you taught us to dream. And now you're leaving us. We'll miss you. Online shopping is great and all, convenient and clean and oh so fast. But we spent so many contented hours with you, cuddled up while the snow flew, dog-earing pages, comparing the merits of Big Barbie Head vs the Crissy Doll, the Easy-Bake Oven vs. Snoopy Sno-Cone Machine. It was a toy department all of our own that never closed, where no mean manager ever yelled at us to stop daydreaming. Well, goodbye and thanks, we guess. Just ... thanks. Wish our kids could've known ya.